Seven days basking in terrace-lined vineyards heavy with juicy, ripe grapes. Seven days tasting a wide array of world class Portuguese wines under the warm golden rays of autumn. Seven days savoring mouthwatering cuisine crafted from fresh ingredients taken directly from the stunning landscape of Northern Portugal. For one entire week, you’ll feel the grapes in the palm of your hand, smell the rocky soils beneath your feet, and hear the rush of the Douro River as you experience your first Portuguese Harvest. Do not miss this opportunity! You’ll take in the panoramic views of the Douro Valley. Touch the moss covered trees of Vinho Verde. Meandor the hand-laid cobblestone streets of Porto. Savor the perfectly juicy suckling pig of the Bairrada. Bask in the wildflower and dolomite fields of the Alentejo and taste hundreds of exceptional Portuguese wines from across the entire North and Central regions. Catavino will ensure every single detail is accounted for. So sit back, relax and enjoy one of the most luxurious and memorable 9 day tours of your life! As vibrant red grapes hang heavy on the vine along the breathtaking terraces of the Douro Valley, your team of local experts will gently guide your hand in picking, cutting and sorting each and every bunch to produce the very best vintage possible. You’ll then climb into an ancient stone lagar as a gregarious group of musicians entice you to stomp, dance and tread unctuous purple grapes to liquid perfect. Have long leisurely conversations with internationally acclaimed producers while meandering through their vines and enjoying curated tasting sessions of their various styles of wines. 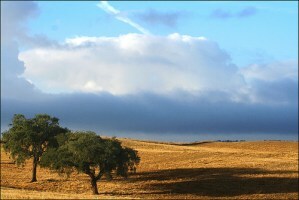 Visit wineries of 5 different wine regions: Douro, Dão, Lisbon, Setúbal and Alentejo. Bask in the lap of luxury while staying in four and five star hotels recognized not only for their stunning architecture, but for their unprecedented attention to detail. Savor traditional Portuguese cuisine such as juicy suckling pig, hearty kale soups, freshly caught seafood and a never-ending array of cured sausage, cheese, olives and bread. I want to thank both of you for such an excellent job…We were treated like royalty at each of the places we visited and were able to drink much better wine and experience much better cuisine than if I would have not had your assistance. I would recommend without hesitation that anyone planning a wine tour in the region to contact…Catavino. After checking into your 4 star hotel, take the afternoon to explore one of the most popular and inviting cities in Europe! Walk the narrow cobbled streets by the stunning Se Cathedral, savoring the vibrant colors, the small flowerpots teeming with spring daisies, the fat cats sprawled on cement steps basking in the moonlight. Come evening, after meeting Catavino’s very own, Ryan Opaz, in the hotel lobby, you’ll be whisked away to the opposite side of the river for an unforgettable meal under the stars. From the sprawling terrace at one of the best Port Lodges in Vila Nova da Gaia, you’ll not only enjoy a spectacular view of Porto’s majestic skyline, but you’ll also experience an outstanding Port tasting! After checking out of your hotel, your guide will meet you in the lobby for your very first tour of the day. 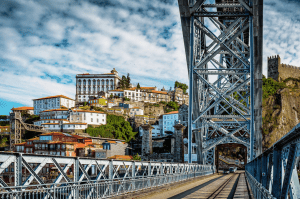 Heading back over the river to the cobbled streets of Vila Nova de Gaia to a renown producer of Tawny and Colheita Port wines, you’ll spend the morning tasting your way through vintages very few people in the world have had the pleasure of experiencing. Lunch will be spent along the sea at a newly renovated seafood restaurant where you’ll tuck into large rock crabs, meaty lobster and sweet delicate shrimp taken right off the coast. This family run restaurant is often frequented by fellow winemakers, so don’t be surprised a few unexpected bottles grace your table. Come afternoon, you’ll journey deep into the Douro Valley where you’ll check into your riverside 5 star hotel. This 18th-century wine lodge, on the banks of the River Douro was converted into a hotel by port makers for whom it had long been part of their estate. Its wisteria-clad stone walls house 50 rooms including four new master suites and a shop specializing in the best wines of the region. Dinner will also be at the hotel, consisting of regional delights from the Douro. The Douro is more than award-winning wine and natural wonder, it’s family. The Portuguese are renown for their generosity, their hospitality and their undying loyalty to their land. For generations, Douro families have precariously traversed across their steep terraced vines to gently pick, sort and press their grapes. Today, you’ll meet a family who has dedicated their lives to sharing their passion for not only wine, but their small corner of the Douro Valley. Gregarious, and infectiously loving, you’ll quickly fall in love with both their wines and their estate. Lunch will be served in a tiny little restaurant with a panoramic view renown to winemakers across the Valley for their outstanding ingredients and even better service. Run by a talented and nurturing mother and daughter team, this cozy restaurant serves up regional dishes ranging from perfectly tender octopus to juicy goat. After a relaxing private boat cruise down the Douro River, you’ll finish off your evening at one of the highest acclaimed estates in Portugal for a exclusive VIP tasting and dinner. If you’re looking for a moment to relish and gloat to your friends about an old Vintage you savored in the lap of luxury, this is it! Today, you’ll leave the terraced vineyards of the Douro to head South to the hilly and lush region of the Dão. Nestled between Portugal’s Atlantic coast to the west and Caramulo and Buçaco Mountains to the east, this region has garnered an exceptional reputation for cultivating elegant wines with Portugal’s iconic grape, Touriga Nacional. Most of today will be dedicated to exploring the multitude of ways Touriga Nacional can express itself with barrel tastings, vineyards walks, and of course, a specially prepared tasting with regional foods. After lunch, you’ll check into your 5 star hotel in the city of Coimbra. This medieval capital of Portugal is also the site of the country’s greatest university for over five centuries. Its atmospheric, beautiful historic core cascades down a hillside in a lovely setting on the east bank of the Rio Mondego: the perfect setting for a historic afternoon tour. The evening is yours to explore, but as this region is known for its savory suckling pig and elegant sparkling wines, we’ll happily guide you to the sweet spots in the city to savor the very best on offer. Today, you’ll experience large swatches of land dotted with perfectly round pine trees, and scraggly olive and holm-oak forests, that cast long, obscure shadows. Florescent wildflowers blanket the valleys, large horns from gigantic steers peek over undulating hills, and ancient Dolomite ruins create a majestic setting for a gastronomy tour of the Alentejo. Lunch and sip upon bold, flavorful wines filled with character at a stunning winery nestled in the heart of the region; followed by a private walking guided tour through Évora’s historic center. Évora happens to be the name for many things – a city, a district, a municipality, and the capital of the Alentejo region. It is ancient in its history, diverse in its architecture, youthful in its university life, humble in its demeanor, exquisite in its gastronomy and dynamic in its political identity. After checking into your 5 star hotel, you’ll head to dinner where you’ll savor typical Alentejo flavors such as rich sheep’s cheese, black pork, salt cod, earthy wild mushrooms and asparagus. The day has finally come for you to savor a rare experience few will ever have, a traditional Portuguese food treading! After a leisurely morning learning how to harvest the perfect grapes, tasting a range of fabulous wines and lunching on regional Alentejano cuisine, you’ll climb into a stone lagar to stomp your first grapes. There’s something so visceral and indulgent about squishing grapes between your toes, feeling the juices rush past your thighs and pooling behind your knees. Shoulder to shoulder, you’ll march in a steady rhythm across the lagar as the foreman calls time “um, dois”. It is a methodical process of pacing back and forth to ensure the grapes are thoroughly crushed to release the juice and pulp from their skins. After awhile, “liberdade”, freedom, will be declared, allowing you to dance, chat or sing while slowly treading or dancing on the grapes. It’s fun, freeing and fabulously messy! Tonight, you’ll head to the historic center for a luxurious dinner in a sixteenth-century Palace to enjoy regional flavors such as game smoked sausage sautéed with turnip leaves and quails eggs or crunchy Serpa cheese with sun-dried fruits and wild rocket salad. Experience the best of the Setúbal Peninsula wine region through the eyes of a native. Setúbal boasts of many important Portuguese natural heritage sites including: the Tejo estuary, the Serra da Arrábida nature park, Meco Beach, Espichel Cape and Sesimbra Castle. You’ll savor regional pastries, explore a quaint little towns, see lush farmlands and majestic mountains, and enjoy a delicious seafood lunch in the quaint village of Sesimbra. 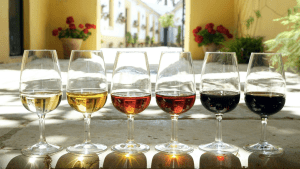 And most importantly, you’ll visit the famed wineries producing the region’s beloved Moscatel de Setúbal, a deliciously sweet yet little known fortified wine, along with other reds and whites. The evening is on your own to relax at your hotel or hit the town in search of new coastal flavors. Meet the passionate people crafting old-school Portuguese food deep inside Lisbon’s traditional neighborhoods. Today’s Lisbon food tour will take you to the traditional hole-in-the-wall bakeries famed for their warm, freshly baked breads and eggy, sweet tarts. But your egg adventure won’t end there. Ovos (eggs) are an essential ingredient in all Portuguese cuisine. 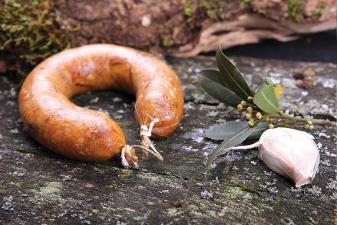 They’re poached in soups and açordas (bread stew); fried on top of steaks, mixed in sausages and sandwiches; blended into many of their beloved bacalhau (salted cod) dishes; and beaten with sugar and cinnamon in numerous desserts and sweets. You’ll explore heaps of these delicious recipes alongside a wide range of Portuguese wines. Explore the undiscovered flavors of traditional canned fish, savory petiscos (Portuguese small bites), craft Portuguese beer and a range of freshly picked fruit and nuts. After a leisurely afternoon on your own, head to an iconic Lisbon restaurant for a memorable farewell dinner. The restaurant’s founders hail from Portugal’s northern-most province the Minho which celebrate specialities including roast kid and baked octopus, but its menu also includes savory southern dishes such as açorda – a delicious porridge of bread, garlic, olive oil, and cilantro served with shrimp and lobster. Lined with photos and caricatures featuring stars of stage, screen, and soccer fields who have indulged their appetite in this temple to traditional food, you will forever remember this farewell dinner paired with some of the best wines across Portugal. By the end of this tour, we trust that your love of Portuguese wine will not only deepen, but you’ll have a profound sense of saudade – a sense of longing and missing combined with a paradoxical joy and hope for the yet distant future. In short, you’ll be booking your next culinary trip to Portugal the minute you get home! Hence, we can either whisk you off to the airport in a private chauffeured car, or you can head out on one last Day Tour of Sintra & Cascais or a Half-day Cultural Tour of Lisbon.